Sandals has unveiled its newest over-the-water chapel at Sandals Ochi Beach Resort in Ocho Rios, expanding the brand’s offering to now include three wedding venues of this variety. 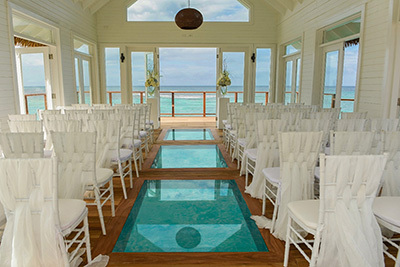 The 450 square foot chapel features 360-degree, panoramic water views and a glass floor aisle, and can accommodate up to 40 guests. To learn more, agents can contact their local Business Development Manager or call Inside Sales at 1-800-545-8283.